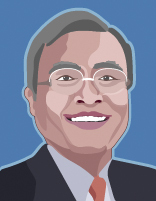 Mr. David Chang was CEO of the Dutch electronics giant Philips in Greater China from 2002 until 2008. Mr. Chang was born in Taiwan, and is a graduate of Electronic Engineering from the National Chiao-Tung University in Taiwan. Mr. Chang worked with Philips for 29 years in sales management, business management and general management. Before joining Philips, Mr. Chang has worked with Zenith in development and manufacturing areas. He joined Philips in 1979.While working with Philips, he spent a big part of his career in the area of displays, starting with CRTs for both TV and computer monitor applications, TFT LCD’s etc. He was one of veterans in Philips’ Computer Monitor Business Unit. During his time as the General Manager for the Business Group Display components in the Asia-Pacific region, he managed several phases of the different factories, and managed the business transfers from Taiwan to China. When appointed as the President of Philips Components Division in Asia Pacific, Mr. Chang triggered the industry consolidation in the display industry. His work resulted in two major JVs being established between Philips and LG Electronics, in both the TFT LCD and CRT fields. Mr. Chang was the Chairman for the LG.Philips LCD Joint Venture, and a Supervisory Board Member for LG.Philips CRT Joint Venture. In addition to his previous role as the Chairman for Philips China Management Team, Mr. Chang was also sitting on the board of various Philips JVs in China. Mr. Chang was also a board member of EUCCC (European Union Chamber of Commerce in China) Shanghai Chapter, an Advisory Board member of CEIBS (China Europe International Business School), a Vice Chairman of CAEFI (China Association of Enterprises with Foreign Investment) and ECFIC (Executive Committee of Foreign Investment Company in China). Mr. Chang was an Advisor to Nanjing municipal government and Rotterdam City.